These Pre amp revalve kits use specially chosen valves to help you attain the sound that you are looking for from your amplifier. The valves have been specially chosen for their sound characteristic. They are specially position matched as to their function in your amplifier. They are selected for gain, triode balance, low noise and microphonics. These kits are backed by over 25 years of experience in selecting pre amp valves for professional musicians who trust their sound to Watford valves. 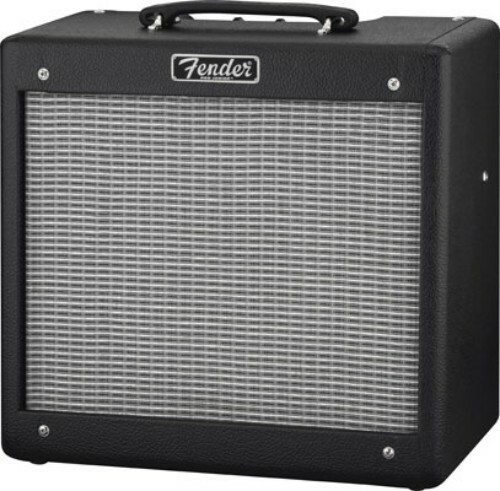 The Fender Pro Junior Harma medium gain 30 Philips 5751 and ECC83-STR kit is designed to give you the perfect balance between of cleanest sound out of your Fender amplifier whilst maintaining clean overdriven sound when required. Using a 5751 in the V1 is the industry standard way of cleaning up the sound of your amplifier. Stevie Ray Vaughan always used a USA made 5751 in the V1 position of his amplifiers. The USA made 5751 are the only items on the market that have the correct current and gain reduction characteristics. By putting the Philips 5751 valve the V1 first gain position you will lower the gain of a pre amp circuit by around 30%. This low gain results in the greater clean headroom for your amplifier but also still maintains that crunch when you drive the amplifier. If you are playing humbuckers through a Fender amp, using a 5751 is a great way to achieve a balanced cleaner tone and take a little grit out of the sound. This set produces a clean and clear sound which will clean up the front end of your Fender. By using a 5751 in the V1 position, when you over drive your amplifiers you will get more clarify under saturation. This is especially useful when using pedals as it give you more control over you sound. Gain selection of the triode sections. The valves are carefully selected for low noise and low levels of hiss and ambient noise with a signal to noise ratio better than -80dBV.